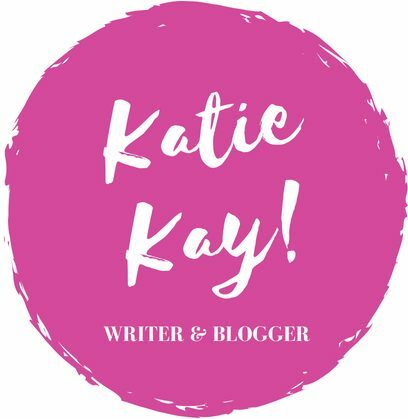 ANXIETY (a poem) – Katie Kay! An emotion undulating and spreading, A virus that is you and no one else. like oil: Feel it roil right through you. You wait for the perfect moment, Unsure of when it will come. Feel your body ache, and your mind Tighten. This may never go away. You climb higher, hoping, praying For release. But you can’t close your Eyes, no matter how hard you try. Feel its hook that won’t let you go. This is a poem I wrote for a creative writing class in October 2018, so not that long ago. At this time, I was struggling with bouts of nervous energy, here and there, and when the assignment came about to “write a poem about your day-to-day existence,” this little guy was borne. However, I believe this poem can connect to anyone, since we all face moments of self-doubt and confusion as to who we are and why we are placed in the situations that cause us pain. It is easy to forget that everyone experiences these emotions, even when we are taught to smile and bear our struggles in silence. Looking back, I find this to be an interesting poem that channels what I was feeling when I wrote it. It is relevant to when I have these moments of anxious energy bubbling up beneath my skin, and therefore I wanted to share it with you guys! I hope you are all doing well wherever you are in this great world of ours. It is rainy here in Southern California as I write this, and I am amazed by how amazing weather can be. Anyway, I will post on Monday, so check out for the next rant from me. Very well written. I’m going through feeling the same as my examinations are approaching and there are so many things going on in mind but I can’t post any of the thoughts on my blog. Thanks for morale boosting words. They were much needed. Really good poem. Perfectly describes how I feel with anxiety. I will be happy if you can leave a comment on that post. Again saying your own views about it. Also your contribution. Thanks for giving me that mindset about emotion as you said in your poem explanation. I can relate. All too well. Great job putting these emotions into words. Thank you so much for reading ❤ this poem is very personal and it means the world that you read it ! I was happy to share this with my followers, Dear K!